I wanted a career that was rewarding, challenging and interesting. I was a carpenter working for a small residential building company. Learning new skills, pushing myself, the unknown, the people I work with and shift work. Take your time and put effort into your application, plus study for the aptitude and physical testing. 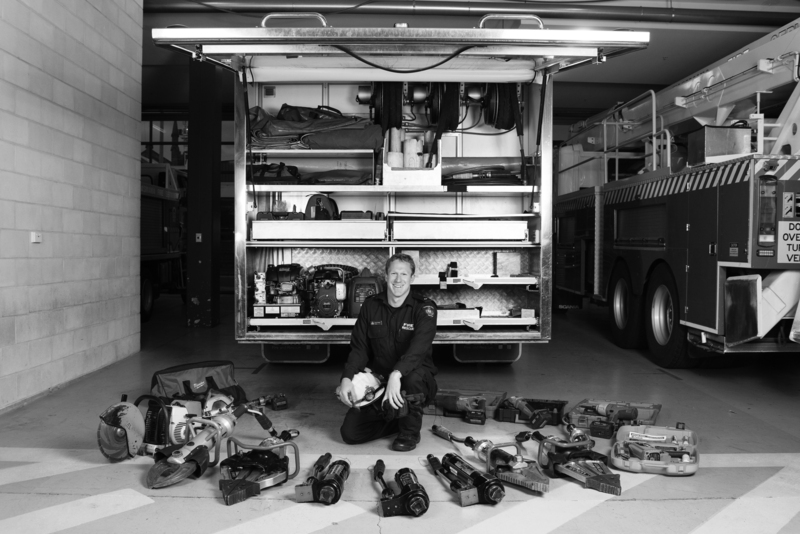 What would you say to someone who’s often wondered but never applied to become an TFS firefighter? Research the job and talk to people in the profession to find out if its for you. I’m currently working through my pay points to become a senior firefighter which is a four year program from start to finish. I’m aiming to finish my pay points, to continue learning and teach others. Its great, I have lots of time to spend with my family and friends and to go surfing. I really enjoy being outdoors, I often surf, play golf, and go walking and fishing.